Last week we explored the art of listening to our bodies. Is there a message our physical, emotional or mental body is trying to send us? In my experience of rebuilding my health, I have had to address many issues outside of the physical realm. I had been raised to not trust myself or anyone else, to suppress my emotions, to not speak my voice, to do what others told me to do, to be a perfectionist . . . and the list could go on and on. All of this was impacting my health. It was suppressing my authenticity and my power. Part of rebuilding my health was to reclaim my power, my voice, my intuition and my pwn trust. If you have fibromyalgia, you are already listening to your body. You know that there are things that you cannot do, or the body erupts with pain. By learning the language of the body, you can hear the messages before the body needs to yell at you. Here are some examples of things than can be underlying physical pain and dysfunction. Do any of them resonate with you? Sometimes our pain just needs to be felt, to be heard by you. Can you just sit with your pain and give yourself loving attention? Can you simply be present with your pain? There is a voice inside of each of us that need to be heard. So many time, we think we need someone outside of us to hear us. But maybe, we are the only one who can give ourselves what we need. Our own loving attention. Is there unheard emotional pain? Under the physical pain there is often emotional pain. Are you willing to feel your emotions? We are trained in our society that emotions are bad and not to be felt. Because of this we suppress our emotions and they become lodged in our body and interfere with the functioning of the body. Are you ignoring your own inner knowing? We are not hearing our own inner voice and wisdom. Can you hear and trust your own inner knowing? Has your own inner wisdom been drowned out by the conditioning of parents, schools, religion and society? What do you want underneath under all of the shoulds and have to’s? Is your body trying to tell you about a change you need to make in your life? Are you allowing yourself to be mistreated in some way? Is there something you want to do but have reasons why you can’t or shouldn’t do that? Are you not taking care of your body? Are you abusing your body? Not listening, over working, eating the wrong diet, pushing yourself to achieve external goals? How long have you been ignoring your body and not giving it the care and loving attention that it needs? Sometimes we have become so sleep deprived that it can take months or years of needed sleep and rest to catch up. Does your diet need to change? Is there something in your diet that your body doesn’t want or like? Are there foods that your body needs? So many of us eat unhealthy foods and yet expect our bodies to function. Imaging pouring water or oil in you gas tank. How long do you think your car would function? We need to eat the foods that provide our body with the right kinds of energy and nutrients to allow the body to function properly and to rebuild and heal. Are you using your creative gifts? Are you or were you working in a job that is sucking the life out of you? Perhaps your body and spirit finally rebelled and said, this isn’t working. I need to be expressing my gifts in the world. I’m out of here . . . . literally. Do you have unresolved situations from your past? What painful situation from your past have you pushed under the carpet and have not dealt with? Did you suffer a trauma, physically, emotionally, spiritually? Were you raised in a household by abusive parents? Did something happen that frightened you? Our body retains cellular memories of these kinds of events. Until the cellular memory is neutralized, the negative energy will disrupt your health and your life. What beliefs are you holding onto that no longer serve your highest good? Many of us adopted beliefs as a child from our conditioning or from the need to survive a difficult situation. We needed them at the time to fit it or to feel safe and loved. Are those beliefs still operating in your life? Are they still needed, or can they be updated to reflect who you are today . . . and who you are growing into? Is there something that you need to say to someone that you are afraid to say? Perhaps you feel like you will hurt their feelings. Maybe you don’t trust your instincts enough to speak up for yourself. What do you withhold that needs to be said? Maybe you speak and others don’t hear you. How can you communicate in a way that gets heard and gets your needs met? Do you have physical toxicity, metabolic chaos or biochemical imbalances? Pain in the body, can also be a result of metabolic chaos, bio-chemical imbalances or toxicity. This can be investigated by a practitioner trained in functional medicine or bionetics. Not all pain is based in metaphysical elements. In addition to exploring our psyche, we need to address underlying physical toxicity, imbalances and malfunctions. As you practice listening to your inner voice, notice if any of these resonate with you . . . or not. Are there other things that come to mind that your inner voice would like to have heard? Acknowledging these things doesn’t mean you need to make radical changes in your life. By acknowledging them and continuing with the inner listening process, you will receive guidance as how to proceed. Sometimes things will shift and resolve, simply by acknowledging what is true. One of the main factors in rebuilding my health was to listen to my inner voice. 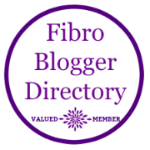 I was thinking today about the many gifts I have received from having fibromyalgia. I wish I could have gotten these messages without the pain and suffering, but if this is what it took to get past my hardheadedness and ridged approach to life, so be it. Our psyche holds many wonderful things and many difficult and painful things. To embrace both polarities is to embrace the fullness of life and brings a rewarding and fulfilling life. May you enjoy the experience of getting to know yourself at a deeper level. 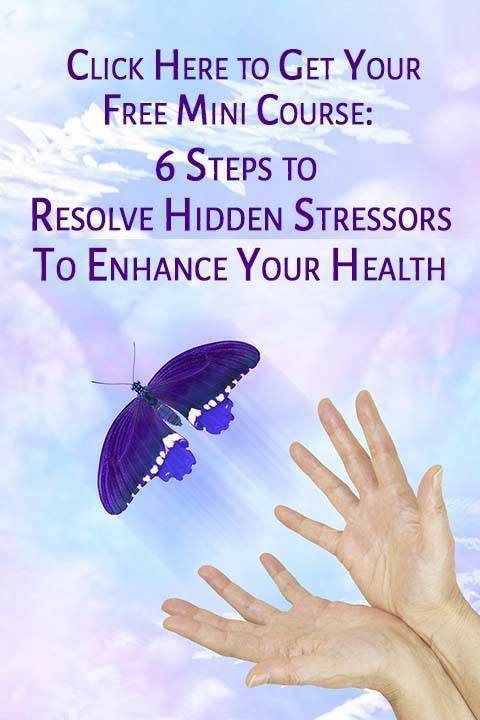 1) check out my free mini-course on how to identify and resolve inner stressors. 2) sign up for a complimentary Discovery Session. Talk one on one with Bindu about your health challenges and goals. Explore natural solutions to rebuilding your health.